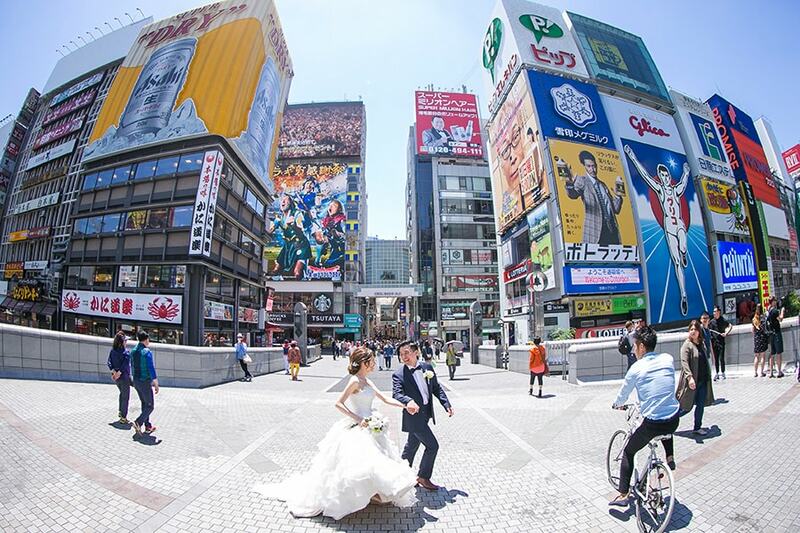 Mostly known for its modern city, Osaka is filled with various surprising sceneries. 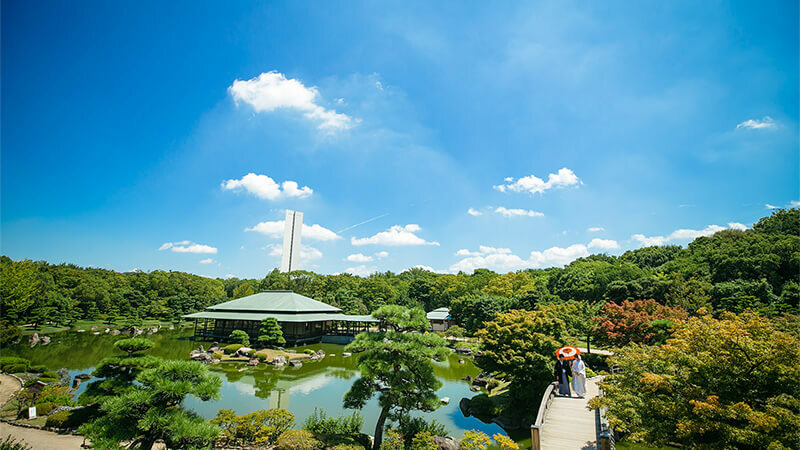 Apart from historical architectures such as Osaka Castle and Konoike Shinden Kaisho, visitors can enjoy parks and gardens filled with flourishing flowers in each season. The cherry blossoms of Osaka Garden Park and Daisen Park bloom in the spring, and Tsurumi-ryokuchi will transform into a carpet of flowers during summer. Nearby are the prefectures of Nara and Wakayama, which you will also be able to travel during the photo shoot in Osaka. 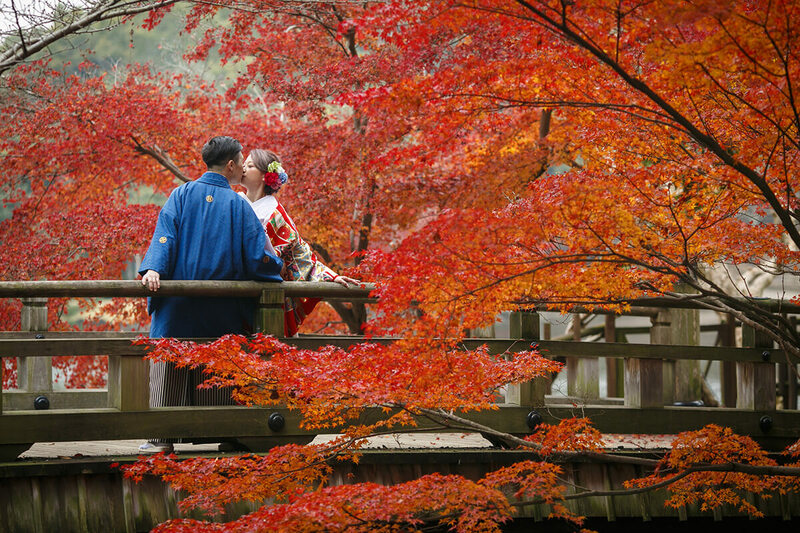 During autumn, Nara Park, known for its beautiful scenery and deers, are also a nice place to visit. The leaves of Nara Park will turn bright red and yellow, and the view from the hill of Wakakusa will become a picture you will never forget. Wakayama is located near the Pacific Ocean, blessed with natural scenery of large scales. Oishi Kogen will be covered with the gold and silver grass, a spectacular sight anticipated by many tourists. From the many choices that you will be able to choose from, visitors will be able to create their own original plan of Osaka! Maishima is a large park located on the mouth of Yodogawa River, perfect for outdoor photography. Inside there is a playground, water fountains, and large fields enjoyable for both children and adults. Daisen Park is rich in greenery and surrounds a beautiful pond. 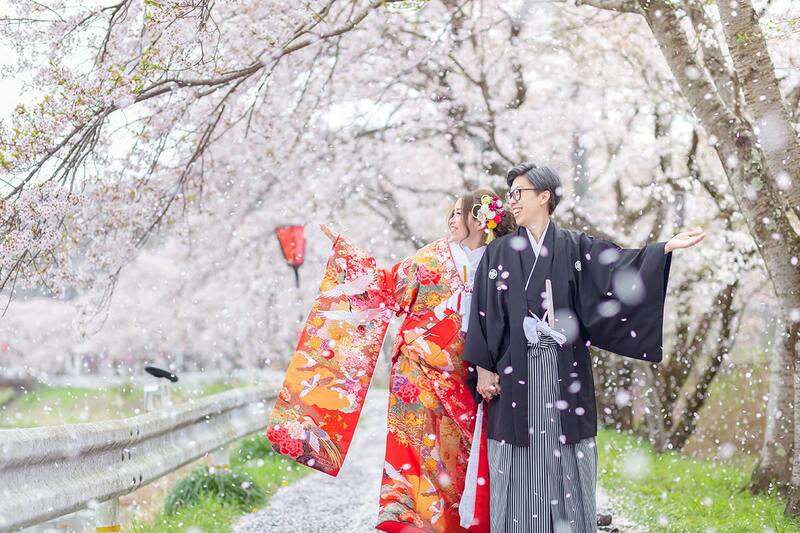 Of course, photos in kimono will look fascinating in this park of Japanese history, but wedding dresses will also look great in large lawns and cherry blossom trees. 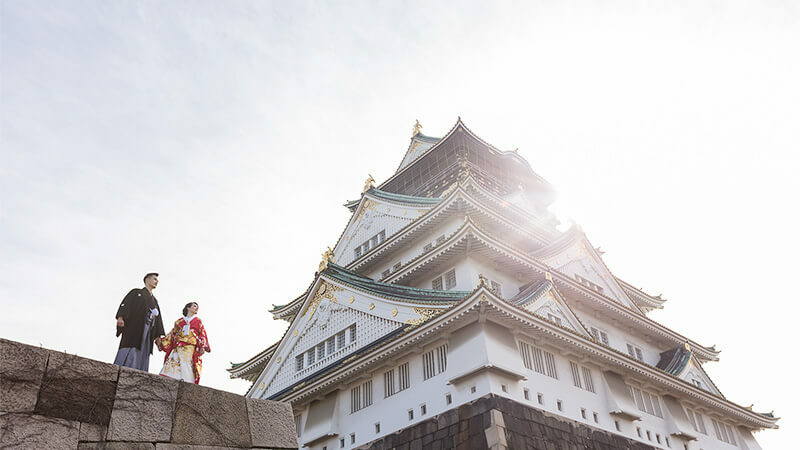 The large castle tower of Osaka is a symbol of the Sengoku period. It is an ideal location to experience the ancient atmosphere of Japan. This is also a popular tourist spot for cherry blossoms, loved by the local people of Osaka. Constructed with famous stones and woods gathered from around the country, this Japanese garden took ten years to complete. Each angle reveals different beauty and structure, filled with novelty and charm. 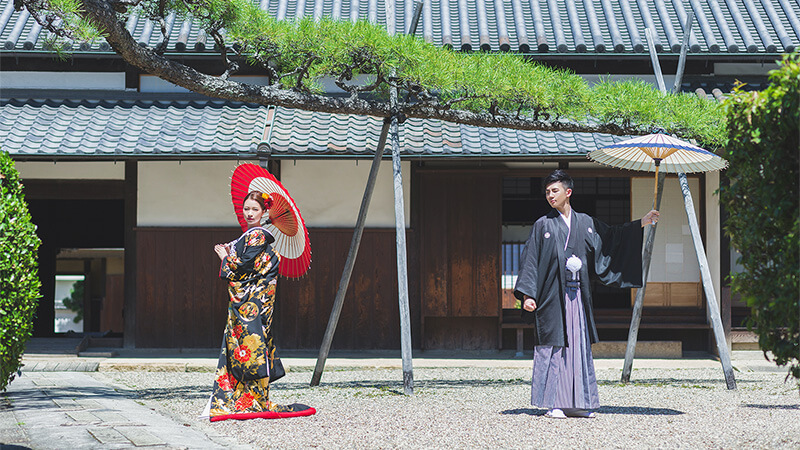 Among the many facilities that are included in Hattori Ryokuchi, you can experience taking photos in bamboo forests, ponds, flower beds, and Japanese houses. The experiences of outdoor photography differ throughout the season, all of them unique and enchanting. The architecture, garden, and tools used in Konoike Shinden Kaisho are still preserved until this date since 1707. It is a building that speaks to the modern people about the importance of history, as it is identified as the nation’s important cultural property. This ancient shrine has a history since 1726. Surprisingly, the giant camphor tree inside the property is more than 800 years old, also a popular monument to take photos with. Herbis Plaza ENT is a commercial facility with luxury brands. 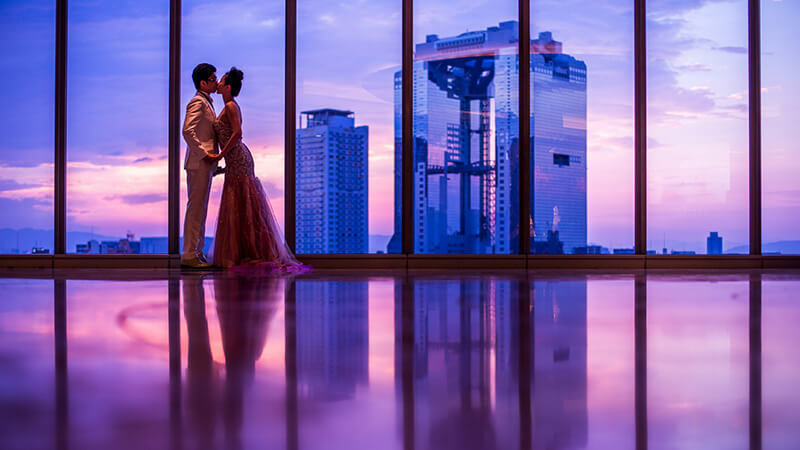 Each corner of the theater is filled with exquisite decoration, perfect for your wedding photos. Tsurumi Ryokuchi is filled with flowers and plants that are beautiful each season of the year. The square in front of the windmill is filled with tulips in the spring, scarlet sage in the summer, and persian daisy in autumn, giving each season its unique colors and appearance. Standing quietly in the pond within Nara Park is the octagon shaped Ukimido Pavillion. It seems as if it is floating on the water, giving grace and elegance to the scenery. Surrounding the pond are cherry blossoms that bloom in spring and red leaves in autumn. 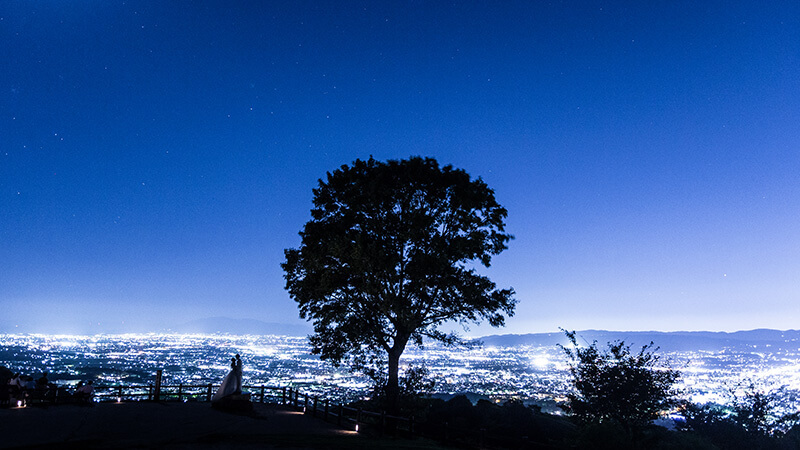 You will be able to enjoy a panorama view of Nara city and Kyoto city from the hilltop of Wakakusa Hill. Enjoy the fascinating show during sunset, as the city would transform into sea of lights. 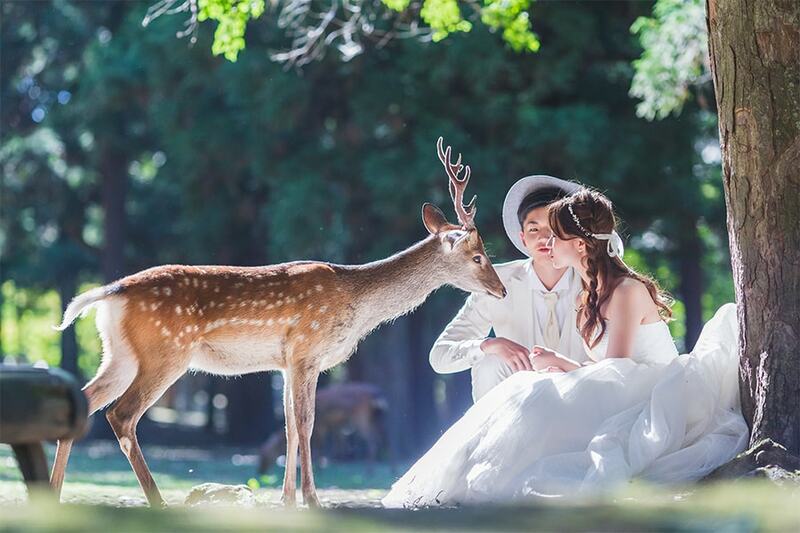 Nara Park is most famous for its friendly deer. Also within the large park are national treasures and world heritages. 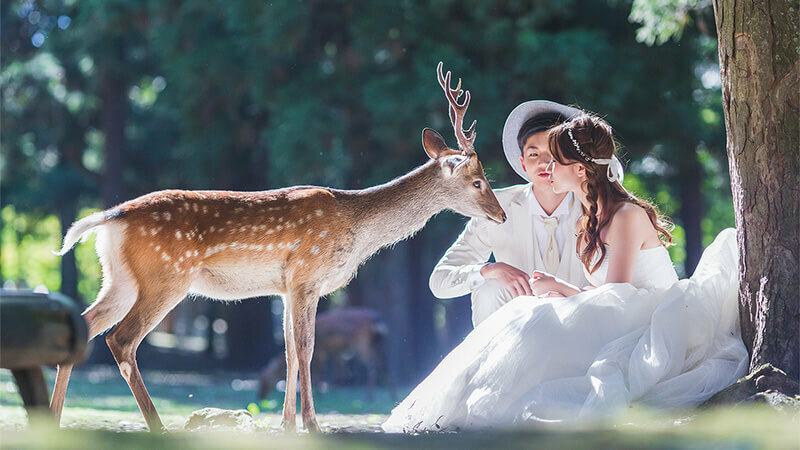 Come to Nara Park for variations of pleasant photography experience! These guest rooms are located in Nara hotel, which styles of western culture and Japanese architecture are combined. Listed under the nation’s protection, visitors will experience various historical buildings and national treasures. A 2-hour drive from Osaka will take you to incredible scenery of high mountains that spreads 360 degrees. In addition, the silver grass fields here in autumn are considered to be best in western Japan. The Kainan area has various beaches facing the Pacific Ocean. The endless white sand and the sun setting into the horizon are the biggest characteristics. 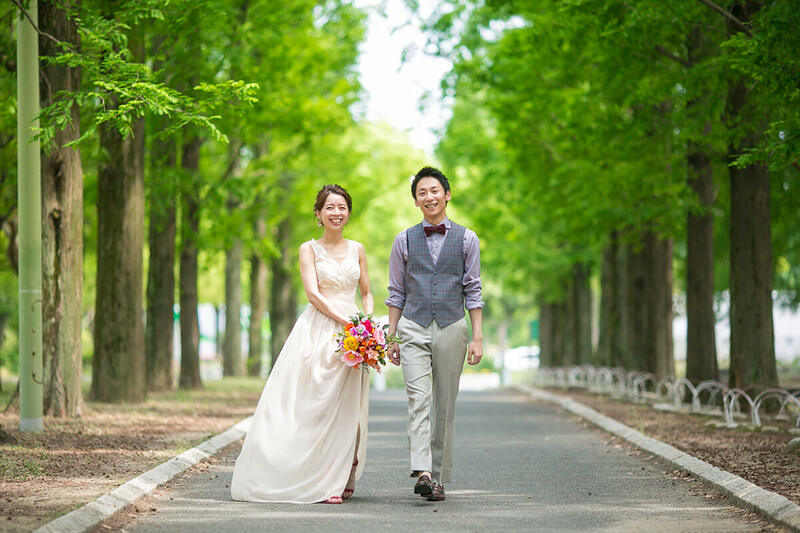 pre-wedding photos in attractive city Osaka!